Acid Midget is always looking for the next court case to rock the street art world. 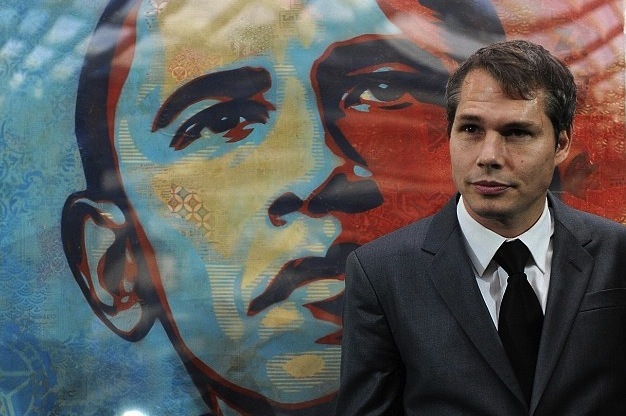 The latest features OBEY superstar Shepard Fairey, who was recently found guilty of criminal contempt for tampering with evidence in the widely publicised AP lawsuit. Fairey had used one of AP's images of then-senator Barack Obama to make his famed 'Hope' poster. But everyone in the street art community rallied behind Fairey because, well, he appeared in Exit Through the Gift Shop. He sued AP in 2009 over their claims of copyright infringement. But after contesting that he used a different image, Fairey tried to hide the evidence by deleting computer documents and replacing them with new ones. He pleaded guilty to one count of criminal contempt in February this year. The three-year case ended when a New York court recently found Fairey guilty of the charge. He was sentenced to 300 hours of community service, a $25,000 fine and is also on two years’ probation. He has also paid AP a $1.6 million fine. "I accept full responsibility for violating the Court’s trust by tampering with evidence during my civil case with the Associated Press," he wrote. Do you buy it? I'm sort of expecting a new phase for the 'Hope' poster. I see new iterations of it saying 'BROKE'.